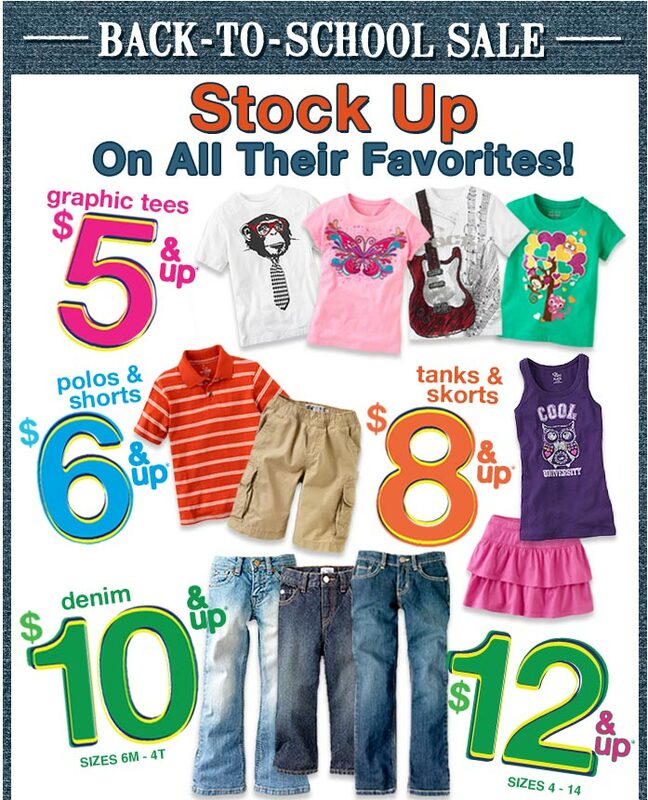 This morning I decided to start my Back to School shopping after seeing this ad from Children’s Place. If you have kids in grade school, this is a great place to shop. The sizes start from newborn to 14. I found “rock star” style poofy skirts with matching T-shirts, Fall suede boots lined in fur, leggings, skorts, headbands and sunglasses. Many of the items were under $10. If your child wears a uniform, they offer an extensive selection. Why shop at expensive boutiques? You children will grow another inch or two before the end of the year. The Children’s Place has everything your child needs to feel confident that they look their best for the first day of school. If a child is comfortable with what they are wearing, they will shine and feel like a winner.